In 1854, Commodore Matthew Perry of the U.S. Navy helped open the borders of Japan to the rest of the world. Before then Japan was a “closed country,” refusing to trade or communicate with any foreign lands. They were especially concerned with the Western nations of Europe and North America, fearing that the people of those countries were devils out to corrupt them and destroy their society and traditions. 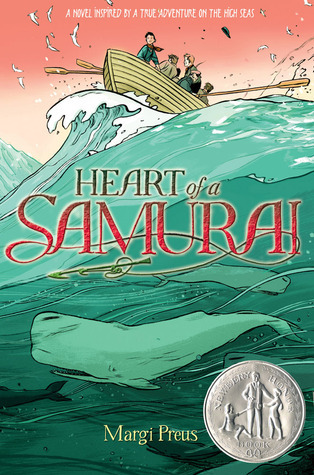 The Newbery Honor book, Heart of a Samurai by Margi Preus takes place about fifteen years before Perry’s treaties with Japan that opened the country to the rest of the world. 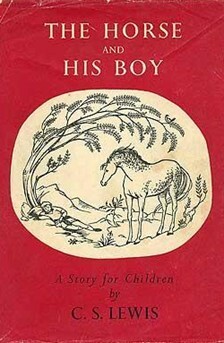 In the book, Manjiro is a fourteen-year-old boy on a Japanese fishing boat. Manjiro has always dreamed of growing up to be a samurai, but since he’s from a poor, lower class family, he never will be. When the boat is destroyed in a storm, Manjiro and the other four fishermen are forced to swim to an unknown island where they attempt to live on sea birds and their eggs. Eventually they are rescued by an American whaling ship. Not only will Manjiro never be a samurai, but it doesn’t look like he’ll ever see his homeland again. The Japanese fishermen are reluctant to speak with the American sailors, because if they ever return home, their countrymen will imprison them, maybe even kill them – fearing that they were corrupted by too much contact with foreigners. Manjiro realizes this and decides that he will probably never be allowed to return home, so, going against the warnings of the other fishermen, Manjiro begins learning English and how to work on the whaling ship. The story tells the true story of Manjiro’s life over the next decade or so – his adventures on the whaler, his experiences living in New England, his attempts to find riches in San Francisco during the gold rush, and eventually his return to Japan – where he’s imprisoned as an outsider. Manjiro may not be a true warrior, but throughout all of his adventures, he proves that he does have the heart of a samurai. Manjiro’s story isn’t a well-known one, but without his efforts and experiences, Commodore Perry never would have been successful in his efforts to open trade lines with Japan. Margi Preus tells this exciting adventure with quick chapters filled with illustrations (many drawn by Manjiro himself). Even though this book was published in 2011, it feels like you’re reading a classic adventure story from 100 years ago – and that’s a good thing. This one is destined to be a classic. This school year I’ve challenged my students to read 40 books. I took that challenge myself. Heart of a Samurai is book #6 for me. I’ll admit it… I’m not a huge fan of non-fiction books. There’s just something about an interesting character or a twisting and turning plot that I love, and most non-fiction lacks those qualities. 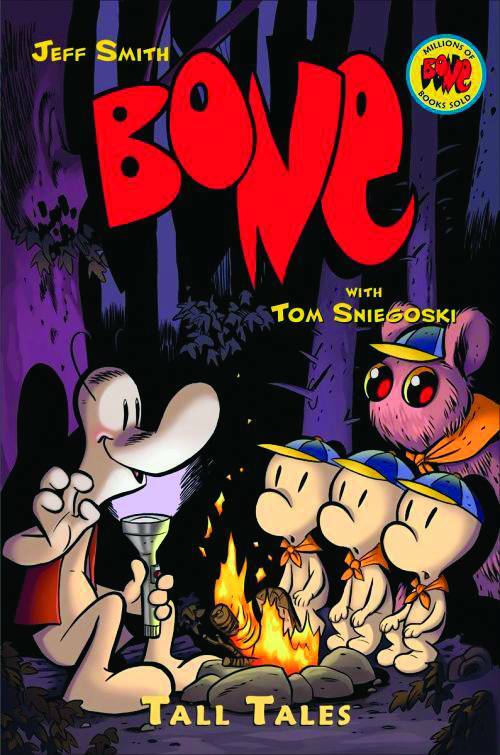 It’s weird, when I was a kid – probably from 4th through 7th grade – about all I read was non-fiction. I couldn’t get enough about animals, dinosaurs, ancient mythology, and marine biology. Thinking about it, I’m pretty sure I read every book that my public library had on those topics – but I never read a book about China or cars or chickens or crafts. There were just a few topics that really worked for me. I was really into marine biology, and for the life of me, I couldn’t remember what it was about that subject that hooked me, so I asked my mom if she remembered. She did. She said it was one book – a fictional story about a boy in the Pacific Northwest who rescues an injured seal. After that, I couldn’t get enough about aquatic animals and marine research. I guess sometimes it just takes one thing to trigger that. None of this has anything to do with Pop! The Invention of Bubble Gum, except to say that I don’t think non-fiction texts were written like this one back in the day. 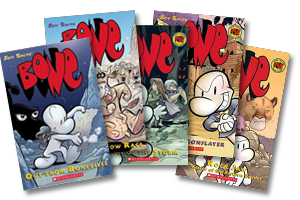 If they had been filled with clever writing, fun illustrations, and an interesting part of history – perhaps I would have read more. Meghan McCarthy’s got a ton of books like this one – strange little moments in history that won’t be in the text books (maybe that’s why the textbooks are so boring), but give you an insight into a unique moment in time. 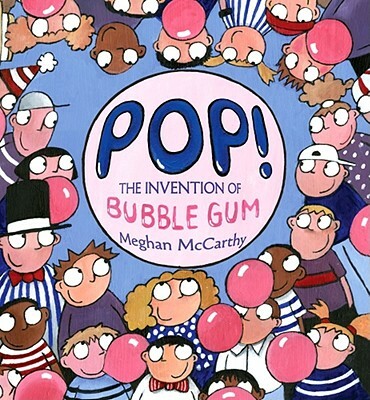 This one, which is nominated for the Monarch Award (Illinois award for best book grades 1-3), tells about Walter Diemer, a pencil-pusher for a candy company who decides that chewing gum would be so much more fun if you could blow bubbles – so he works and works and works some more, eventually coming up with bubble gum. There’s a lot here – unsung history, an interesting character, a lesson in innovation and determination, and some really fun illustrations. Meghan McCarthy’s other books will definitely be on my list for my next library visit. Who knows, maybe she’ll make a non-fiction reader out of me yet.